If you would like to submit feedback with your fun and exciting Brownie's Third Lung™ experiences, stories and/or pictures please Contact Us. We have been using a Hookah rig for at least 12 years. Our first one was the round black dish with the wooden handles. Have loved your upgrades. 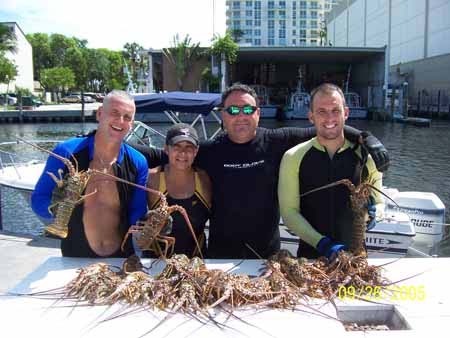 We dive off Fort Lauderdale and always get our limit, as we stay down until we get our limit. We dive in 22-28 feet of water and can stay down for 3 hours on one tank of gas. If it's a nice day out, the third person in the boat (who follows us so we don't have to swim 'back' to the boat) keeps the tank filled while we concentrate on finding lobster. 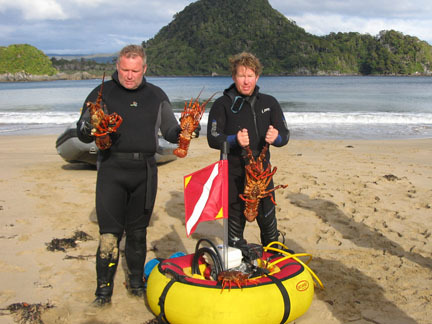 Looking forward to this year's lobster season. THE F280 is a DIE HARD!!! IT JUST KEEPS RUNNING! Hey folks at Brownies,I have a TRUE story i thought you might be interested in. 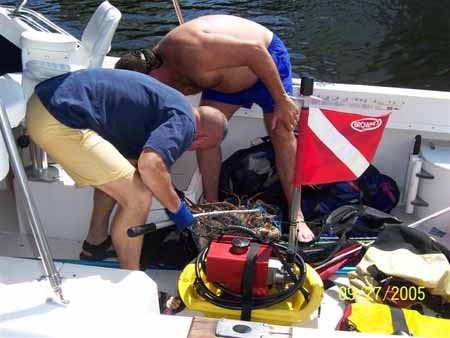 I bought your F280 for the 2006 Mini lobster season. First day out w/a coulple of dive buddies. Seas,were 2-3ft. My buddy set up the hookah & placed it on the bow of the boat!!! Big mistake! Flips OVER face down into the water!!!! I could not believe my eyes. Needless to say i was PISSED!!!! I had read the emergency procedures manual the night before, THANK GOD!! I did exactly what it said to do. And sure enough 2 pulls later, it started right up!! It ran PERFECT!!! A couple hours later,it happened AGAIN! Same thing,did the same procedures again. It started RIGHT UP AGAIN!!!! We got our limit of lobsters,& hogs! But the best part, IT just keeps RUNNING! I love your stuff!! 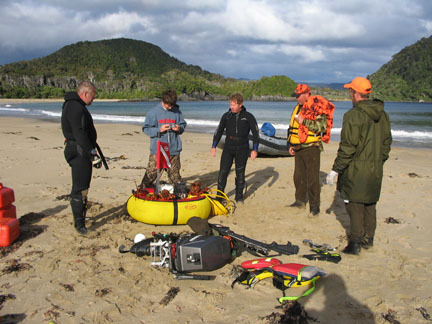 I have just returned from Preservation Inlet in Fiorland on the South Coast of the South Island of New Zealand. I can't begin to describe the rugged beauty that this area holds, but also the wild and unpredictable weather it also offers. We were dropped in by light aircraft which landed on the beach and were there for nine days in which to dive, hunt and fish. Needless to say we did all three. I managed to dive about nine times, driven out of the water only by the cold, about 10-12 degrees c. As you can see the diving was first rate and the Third Lung hookah never missed a beat. My buddies were blown away by it. PS: I ate the crayfish in my right hand for dinner tonight and it inspired me to send this email, the one Les is holding is about 30 years old and it took the two of to put it into a catch bag. Contact Us with your Brownie's Third Lung stories.